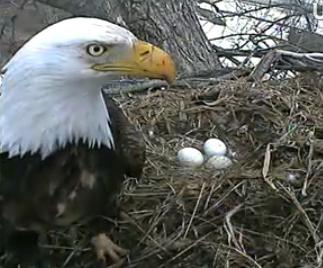 Yesterday we decided to check in with the Decorah Eagle Cam to see what was brewing. Last year at this time, the first egg was laid and we did not want to miss any of the action this year. We pulled up the camera to see a live shot of a barn, not the nest. A Google search told us that the Eagles had built a default nest and that they have just started lining this new nest with grasses. Scientists believe that this means that they have chosen the new nest over the old. Unfortunately there is no way to add a second camera until the Fall when the nest is quiet. We are sad to say that there will be no Decorah Eagles this year (click here for article). This nest in Iowa has two eggs already!! It looks like the first was laid on the 7th of February and the second on the 11th. While I was visiting yesterday Liberty (the Mama Eagle) was sitting on the eggs and making a lot of noise. I also saw Justice (the Papa) swoop by under the nest. If you want a refresher or some info on how to tell them apart, click here. We always say that Mama looks a bit ruffled and dirty. This nest in Wisconsin (or Minnesota?) has two Camera Views which I like. This site is run by a teacher who last year wrote grants to put up a webcam for his class to watch a local Eagle Nest. Both Lucy and Larry Eagle were in the nest when I tuned into the “Close Up” Cam and there were no eggs yet. The other camera Pans, Tilts and Zooms…this was very cool! You can watch both at the same time which is really fun. There is also a Teacher Zone with lessons and activities and a Student Zone with more games and fun. This Eagle Cam does not have audio yet but there has been some activity. The eggs here are expected to be laid in early March. We have not seen any live action yet but they do have video clips that you can watch of recent events. It is a really great view of the nest. I also love that this site has a Loon Cam! Something to look forward to in April . I have decided to follow these three nests because they have not yet laid eggs or the eggs were hatched this month. 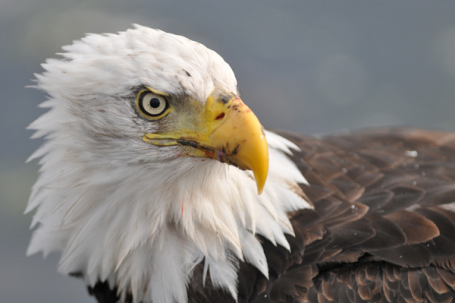 There are so many Eagle Cams out there and many in the south show nests where the eggs have already hatched! 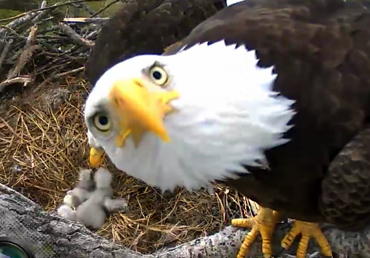 There is a website called Eagleholic and they list all of the 2013 Eagle Cams and update the status of each nest. If you are interested in checking out where to find those nests, or others that I haven’t listed click HERE.